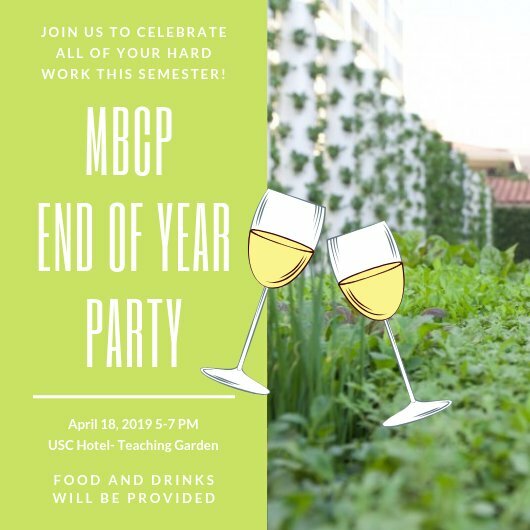 Come join MBCP to celebrate the end of the 2018-2019 school year! All case competition participants are invited to join and enjoy drinks, light food, and the beautiful USC teaching garden patio. This is an outside venue!